Very often, you opt to revamp your current website to set your business goal as per ongoing trends and technologies. Or either you want to establish a whole new web presence with advanced website development, in this scenario you need a content management system to maintain and update your digital content. Choosing the right CMS for your needs is crucial in this competition flooded the world because it can be your most used web maintenance tool after the initial design. 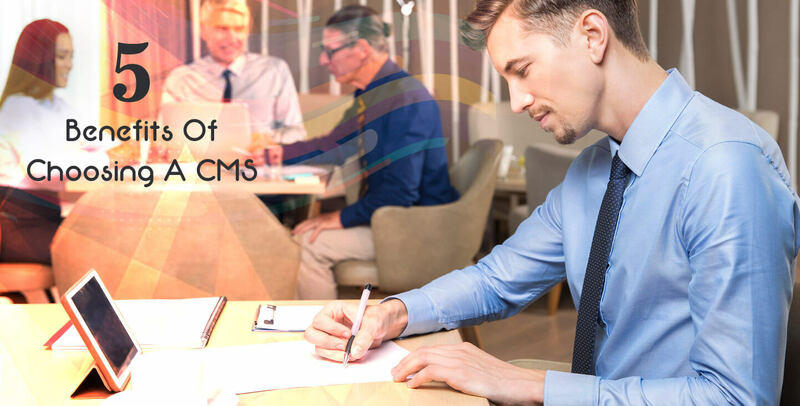 Therefore, when it comes to CMS systems, there are a plethora of options available, but choosing the ideal cms development services can help you a lot in making your website run fast. You can find hugely templates based on platforms with customized solutions that can offer unique benefits depending on your business. In this post, we will draw your attention to “what are the benefits of choosing a cms website design and development? 1. Easy To Update Website - It is quite mandatory to update your website as per the existing trend, and an ideal Content Management System makes update easy for your website. No matter you are technically sound or not, it simply to login into the CMS Dashboard to can create a new page or post just in few clicks. Further, you can easily add content, images, audios, and videos to your site that too without much effort. Hence, you can update content easily on your website to stays fresh and alive with the advanced world. 2. Easy To Operate - As we know, not every person is comfortable with technology, however, cms the same level of comfort to both the technical as well as non-technical people. The basic CMS functions of writing and publishing content and advanced media are easy to learn and understand. Moreover, if you are aware of word-processing software, then you can easily use basic function of CMS, no training is required. 3. It Allows Multiple Users - A CMS offers easy management for publishing permissions for multiple users, allowing to publish content and other updates to be done by the individual. As we know, in a business, there are many people who work for the same website, for example from adding product pages to produce blog posts for your content marketing efforts and similar related function multiple users are involved, hence allowing them to work together can contribute benefits for your website. 4. It Improves Site Maintenance - When you need to improve your website, with CMS you don't have to trawl through hundreds of pages. With a CMS, it is easy to maintain, changes, update the CMS software, add functionality without breaking the site and other tasks easily as the underlying architecture is same. Apart from this, with the right CMS, the tasks are automatically updated. 5. Save Time and Money - Keeping in mind the advanced tool and technology available, today most of the CMSs are designed so that it can be used without a steep learning curve, which will save time and money. Usually, no training is required, again your money and time are saved. As CMS is simple and easy to use, no technical person is required to manage your site.